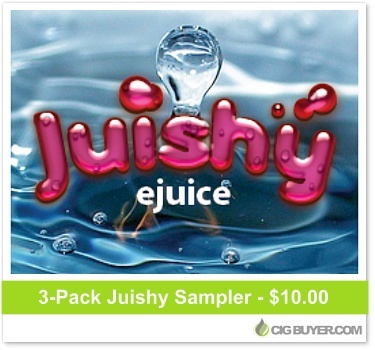 Juishy E-Juice offers over 100+ e-liquid flavors and all of their products are 100% US-made, consisting of 70/30 PG/VG. They offer an excellent assortment of creative options, including traditional cigarette, drink, dessert and fruit-flavored varieties. Some of their top-sellers include: Arctic Watermelon, Cotton Candy Clouds, Dream Soda Cream Soda, Gummiberry and Pink Starburst… just to name a few.